Bucketheads: A Star Wars Story Fan Film – The “Band of Brothers” of the Empire? "Bucktheads" - The "Band of Brothers" of the Empire? I have always been a “Rebel Fanboy” since the release of the first Star Wars film back in 1977. My childhood consisted of pretending to be Luke Skywalker and fighting off the “evil” Empire and blasting away as many Stormtroopers as I could in the process. As time went on and I grew older, I would wonder about the Stormtroopers and how they lived their lives when not engaged, and missing every shot, with the Rebels. There have been times in previous literature or in comedic fan films such as, Troops, that this was touched on but not many have explored a more personal side of the Stormtroopers. A more human side that shows them as individuals under the helmets. The upcoming fan film, “Bucketheads” from Transmute Pictures, may deliver this story. Star Wars Reporter wanted to know more about this fan film and the creators over at Transmute Pictures agreed to an interview. 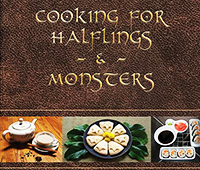 What was your inspiration for the story? How did the story develop? TP: The initial spark for the project came from a conversation between Marco, myself and another film industry friend Anthony Vani, who also happened to be our production designer on Bucketheads. We had just finished filming another little Star Wars project and got to talking about what kind of other stories we’d like to tell in the Star Wars universe. We all agreed that there weren’t a lot of stories told from the perspective of the Empire, specifically the people fighting the rebels on the ground, the Stormtroopers. The whole idea sort of blossomed from there. 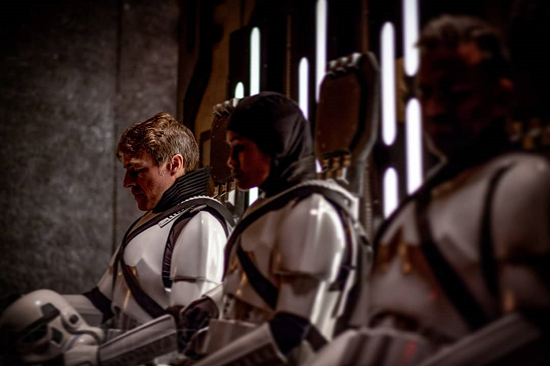 Marco had also recently been accepted into the Outer Rim Garrison of the 501st so we knew we could make it a reality if we set our minds to it. For those who don’t know, the 501st is a Star Wars costuming club with an emphasis on charity work that holds their member to an incredibly high standard in regards to their costuming and cosplaying. TP: We chose the title “Bucketheads” for a number of reasons. When we first conceptualized the project we agreed that we wanted to show a darker side to the Star Wars universe, the grittiness of the civil war that encapsulates the galaxy and the many shades of grey that embody right and wrong in any conflict. We talked a lot about other war films like Saving Private Ryan, Band of Brothers, Jarheads, films like that. As we were writing we quickly realized that a darker portrayal of universe required our characters to utililze a darker vocabulary. We started to research canonical slang and came across the term Bucketheads. It’s actually a term from the expanded universe (and I think the only thing from the expanded universe we incorporated into the film) and we instantly saw the connection with “Jarheads”. From there it just kind of stuck. 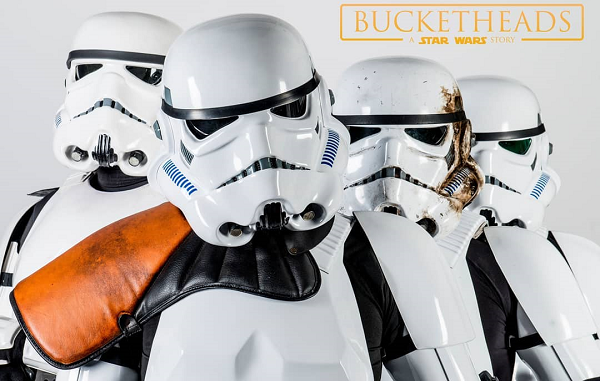 Bucketheads is a film created by 501st Legion members. 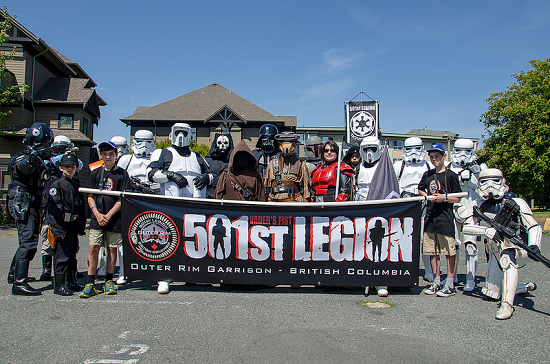 The 501st Legion are a dedicated group of Star Wars fans who have contributed their time to films such as this, charities and more. 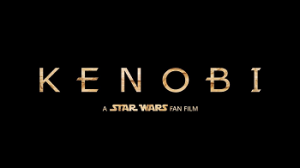 How important to the fandom have these members been to the Star Wars genre? 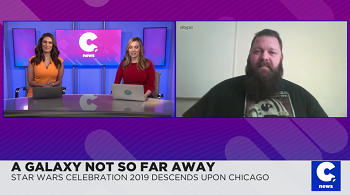 TP: Fan communities and clubs like the 501st Legion have been integral in spreading the love and passion for Star Wars for decades. I’ve never met more devoted and kind fans from any fandom. The 501st works with numerous charities around the world to raise awareness and funds for good causes and bring joy to children or adults in need. Through their work, they somehow turned the Stormtroopers, an icon of oppression and evil into ambassadors of happiness and joy. In closing, they set an example of what fandoms can be. Star Wars has a very devout and outspoken fan base. Did you worry more about what they will think of your film than in your other projects? TP: We were and still are absolutely concerned about what the fans will think! There’s no question that the fandom is polarized on their views of what Star Wars is. We did a lot of research on what other fan films did right and wrong, vocabulary, geography and more. 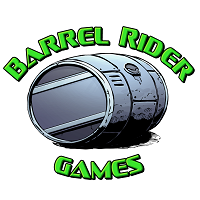 We had the unique opportunity to add to the Star Wars universe by telling a story from a perspective that has previously been mostly untouched. In the end our film makes some bold decisions and I’m sure there will be some lively discussions by fans. I loved Rogue One because we got to see the perspective of the “regular soldier” and all their contributions to the fight against the Empire. Do you think that future movies need to visit this perspective for the Stormtroopers? TP: Absolutely, but we’re fairly certain that won’t happen. It doesn’t fit the Disney brand and it’s not what Star Wars is trying to do. That’s one of the reasons we felt the need to make this film as well. Lore has told that the Stormtroopers were “expendable” and that they were conditioned to not see their follow soldiers as people but only tools. If another trooper went down, they would move forward ignoring the injured. 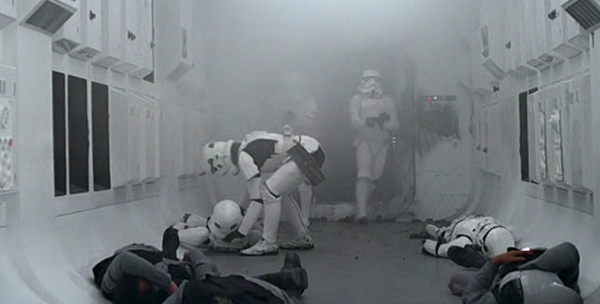 In a New Hope, when Vader enters the ship after the Stormtroopers take control of Princess Leia’s ship, you can see a Stormtrooper checking on a fallen comrade. This stuck with me and I always felt that they were more than mindless soldiers. How important is it for you to show another more human side of Stormtroopers? What message are you trying to convey? TP: That’s the center of our story. We really liked the idea of turning this Star Wars trope on its head. 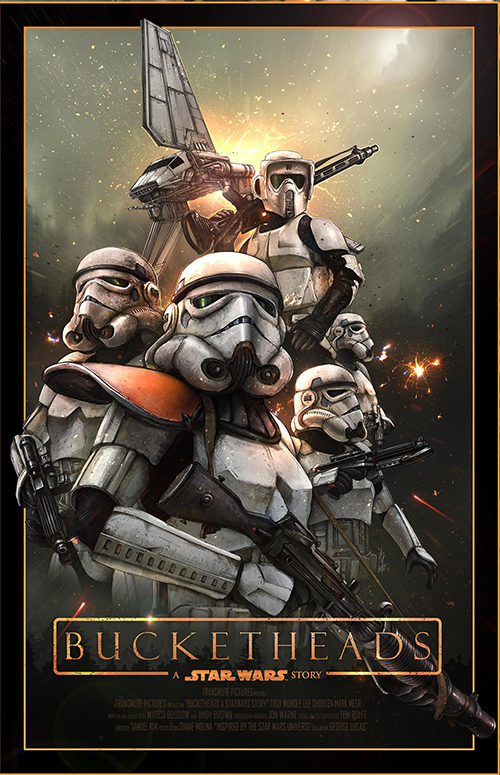 Bucketheads is about a squad of Stormtroopers and their individual stories. It being a short film, we really had to focus on our two main characters, but if we were to ever expand this into a series like Band of Brothers, we could really flesh out the entire cast of characters. 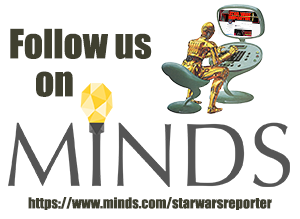 We wanted to bring a more realistic portrayal of war to the Star Wars universe where individuals have their own stories and reasons that define their actions. 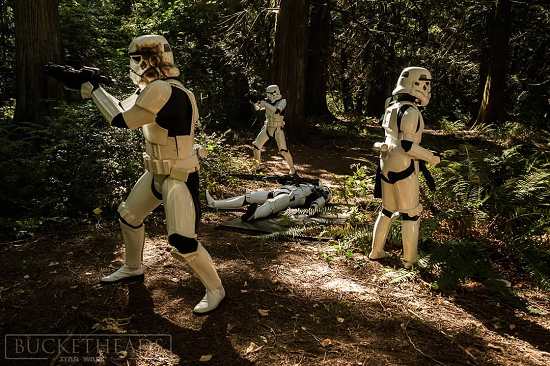 In the films, Stormtroopers have mostly been portrayed as inept troops that are unable to hit their targets. This “reputation” has been emphasized in comedies such as Robot Chicken and Family Guy. Is this something you will address in your film and feature a more cohesive and skilled group of soldiers? TP: Our approach to the subject resonates whole-heartedly with Obi-Wan’s line in A New Hope “Only imperial Stormtroopers are so precise”. We make a point out of portraying the squad as a unit of competent soldiers. Still, we couldn’t help but include one jab at that reputation. 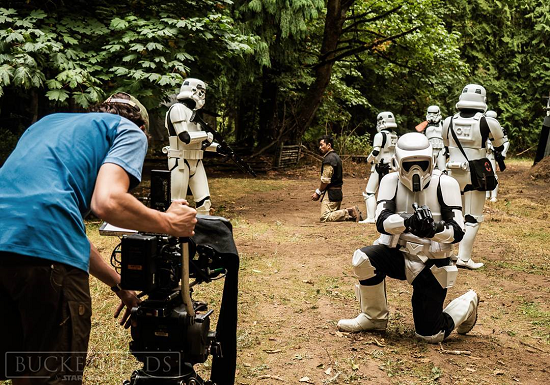 As a filmmaker, what are some of the challenges making a Star Wars fan film do you face that you don’t creating an original story? TP: Setting our story in such a well established universe certainly came with its own set of challenges. We had to make sure that our dialogue and world building somewhat fits in with what has already been established as canon, yet stand out enough to be unique. 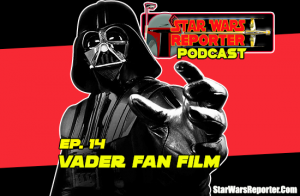 While our goal was to tell a darker and grittier story, we still wanted to respect the essence of Star Wars. 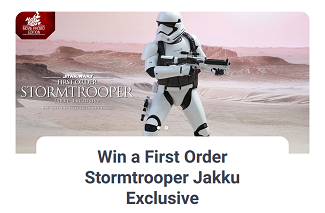 In your opinion, were the Stormtroopers on the “wrong side of history”? Or were they just doing the job? TP: Star Wars has always been abundantly clear on their analogy between the Empire and the Third Reich. In that regard, the Stormtroopers were absolutely on the wrong side of history. That’s not to say that every single person working for the Empire was an evil being. We wanted to make a film that blurs the lines between good and evil, that explores the grey areas that aren’t addressed in the official movies. When will fans be able to view “Bucketheads? TP: “Bucketheads” will be released on our YouTube channel “Transmute Pictures” on December 8th 2018. To learn more about “Bucketheads” and Transmute Pictures, visit their official site.